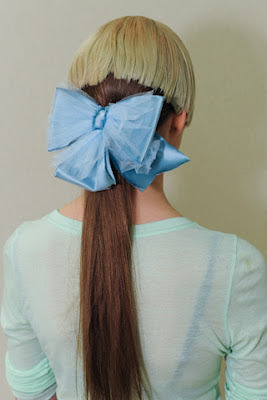 There are certain things I can never get enough of in clothing: full skirts, pastels, beading, ruffles, etc. Chanel Cruise 2013 had all these things and more, and I just about died -as in, Rachel Zoe 'die'- after seeing images of the show online. First of all, Versailles. 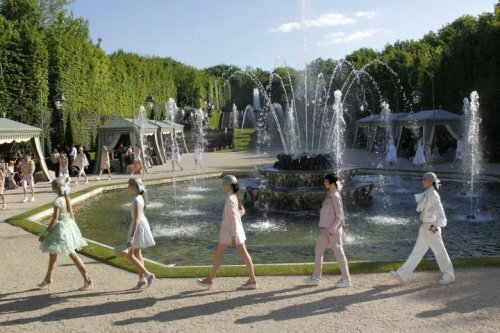 Karl has recreated the gardens of Versailles and he's made dresses that connote Marie Antoinette, but a show in the actual gardens of Versailles (the pictures, in front of my favorite fountains!) My God, Karl -and by that I am referring to Karl as my God, because let's face it, he's brilliant. But to tell you the truth, these girls could have posed in front of a dumpster and I still would have melted with sartorial adoration. 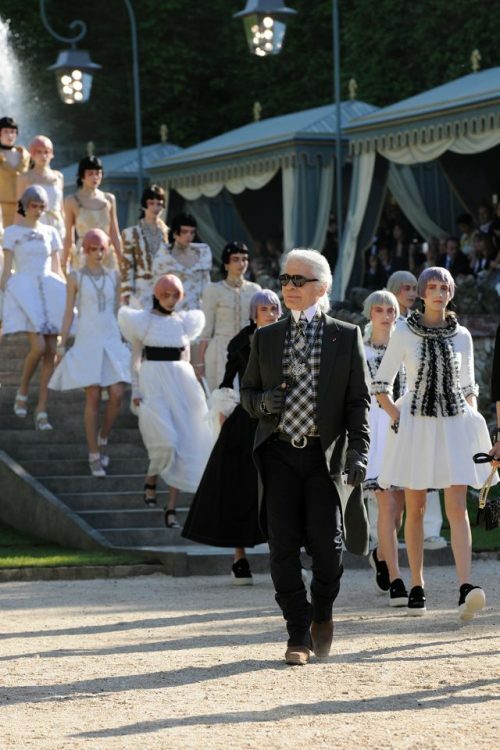 I saved pictures of almost every look in the show, so forgive me if I post nearly everything, but honestly, it's Chanel, it's Karl, it's Versailles. Can you ever have enough?